Welcome to DrumLessonResources.com, providing quality materials for both drum teachers and students. Many years ago I started teaching drums – someone had seen me playing and asked for lessons. I didn’t really have a clue where to start. I showed them some technique, some beats, some fills, we worked on a song or two. But it wasn’t very structured. Then I started teaching out of books – working through the books page by page. But I found some of the books to be rather unstructured & taking big leaps in ability from page to page. It also didn’t motivate the student so much – but it was structured. Teaching from books was perhaps too structured & the student always knew what was coming next. It left little room for doing something different. I found I didn’t have the material to be flexible with my students. Occasionally they would ask to do something different like latin or reggae or work on an idea they’d heard in a song. If the books we were using didn’t have it in, then I couldn’t give them anything to practice from – sure I could show them the basics, but I couldn’t give them additional exercises to practice while I wasn’t there. And of course, most students love playing songs, but I didn’t have a ready supply of transcribed songs. So after a while teaching, I began to develop my own syllabus, one that is structured yet flexible. I also began transcribing drum parts to songs my students requested, or ones I thought it would be good for them to learn. Since 2007 I have been running a drum school and teach 30 – 40 students per week using the material on this website. The students find the material well paced and engaging. They also enjoy the fact that I have something for almost any subject they ask me about – and the areas I don’t have material on yet, I will have soon. 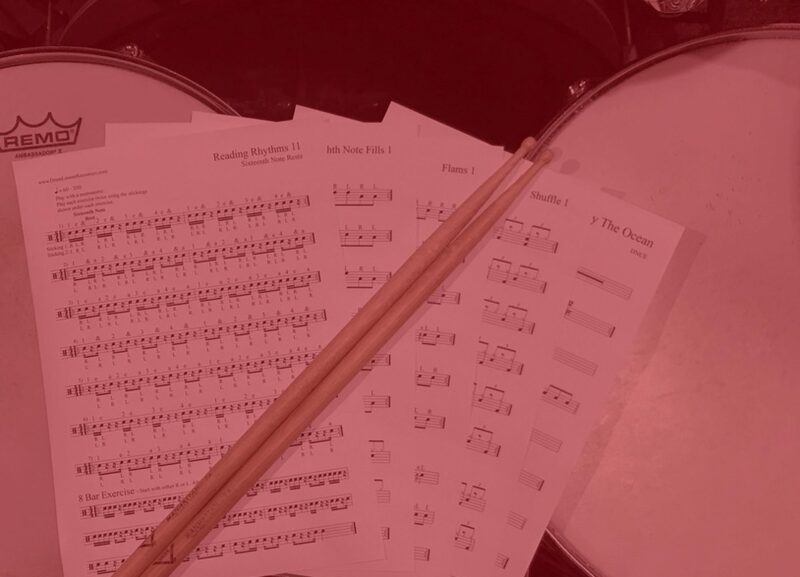 By signing up to this site you’ll gain access to all this material that I use to successfully earn money teaching drums. You can use it in your teaching, or for your own personal development. Posting this material on other websites/forums however is prohibited. This site will be continually growing and new worksheets / songs will be added on a regular basis. If there is something you’d really like to see on the site, please use the contact form to let me know. Check out the free membership option above and have a look around the site. Eighth note triplet fills updated and expanded. Now including short fills also. Check them out in the fills section on the pre-intermediate and intermediate pages . Click “Watch Video” under worksheet links to be taken to a video demonstration of that worksheet. Videos open in YouTube new tabs. Adam Lambert – Whataya want from me? Will be updating more frequently soon. I’ve been busy keeping my drum school busy. Will be back with more new content soon!